Pope Francis, the Vatican hospital, and President Donald Trump have extended assistance to 11-month old Charlie and his parents, but the experts at Great Ormond Street Hospital and the courts say they know what is best for Charlie, not his parents. Americans may find this point of reference difficult to fathom, but it is staring them in the face with the potential for single-payer, government-run healthcare, in the new fervor for laws that allow physician-assisted suicide, and in the periodic push for acquiescence to external bodies, such as the United Nations Convention on the Rights of the Child, a treaty that allows the U.N. to decide the rights of children in any member nation. The duty with which I am now charged is to decide, according to well laid down legal principles, what is in Charlie’s best interests. Some people may ask why the court has any function in this process; why can the parents not make this decision on their own? The answer is that, although the parents have parental responsibility, overriding control is vested in the court exercising its independent and objective judgment in the child’s best interests. The Great Ormond Street Hospital has made an application and it is my duty to rule on it, given that the parents and the hospital cannot agree on the best way forward. Once the hospital decided, as the Guardian reported, that it had exhausted all proven treatment options for Charlie, his parents lost control of his care. The logic of this decision — that a patient’s best interests can be conclusively determined by an objective third party possessed of adequate “scientific” knowledge — will be familiar to anyone who has watched state power over issues of life and death expand throughout the Western world in recent years. In the early 2000s, this logic was at work in the Terry Schiavo case, in which American courts took it upon themselves to ascertain Schiavo’s unexpressed will and enact it; inevitably, they endorsed her death, on the grounds that she would not want to live “with no hope” in her present vegetative state. Likewise, in Europe, medical “expertise” has been not simply a justification for, but an encouragement to, assisted suicide; guidance from medical professionals has more than a little to do with the fact that, in Belgium and the Netherlands and elsewhere in Europe, assisted suicide is now an acceptable remedy for people suffering not just from terminal illnesses but from depression, autism, and anorexia. Charlie, who was born with a rare genetic disorder called mitochondrial depletion syndrome – which causes brain damage and progressive muscle weakness – has been the subject of court hearings for months. Though he acknowledged the seriousness of Charlie’s condition, a U.S. neurologist testified that treating Charlie for six months with a specialized therapy could provide the baby with a small chance of improvement in brain function. It seemed, at the outset of this hearing, that there might have been a lone voice in the USA that was offering what has been described in some reports as “pioneering treatment”. Understandably, Charlie’s parents have grasped that possibility, they have done all that they could possibly have done, they have very publicly raised funds. What parents would not do the same? But I have to say, having heard the evidence, that this case has never been about affordability, but about whether there is anything to be done for Charlie. Charlie’s situation is all about rationing health care, however, and the power of the state over the individual. After losing their legal battles in the U.K., Charlie’s parents turned to the European Court of Human Rights (ECHR) in France for assistance. That court, however, refused to hear the parents’ case, and Charlie’s removal from life support thus became final. Our thoughts are with Charlie’s parents on receipt of this news that we know will be very distressing for them. There will be no rush by Great Ormond Street Hospital to change Charlie’s care and any future treatment plans will involve careful planning and discussion. Charlie’s parents also asked the courts to consider whether it would be in the best interests of their son to undergo experimental treatment in the US. The domestic courts concluded that it would be lawful for the hospital to withdraw life sustaining treatment because it was likely that Charlie would suffer significant harm if his present suffering was prolonged without any realistic prospect of improvement, and the experimental therapy would be of no effective benefit. 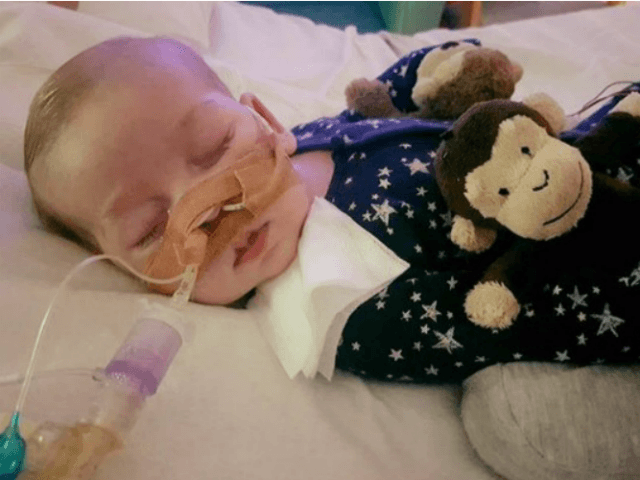 Charlie Gard’s case is one that could easily set a precedent for the power of government and the judiciary over health care, parental rights, education, and many other aspects of life. As can readily be seen throughout Europe and in the United States, such precedents and their powerful messages are difficult to rip out once embedded into the bureaucracy and the culture.